The GMB union has accused a security firm of ‘totalitarian’ behaviour, after a firm asked employees to install a tracking app on their phones. 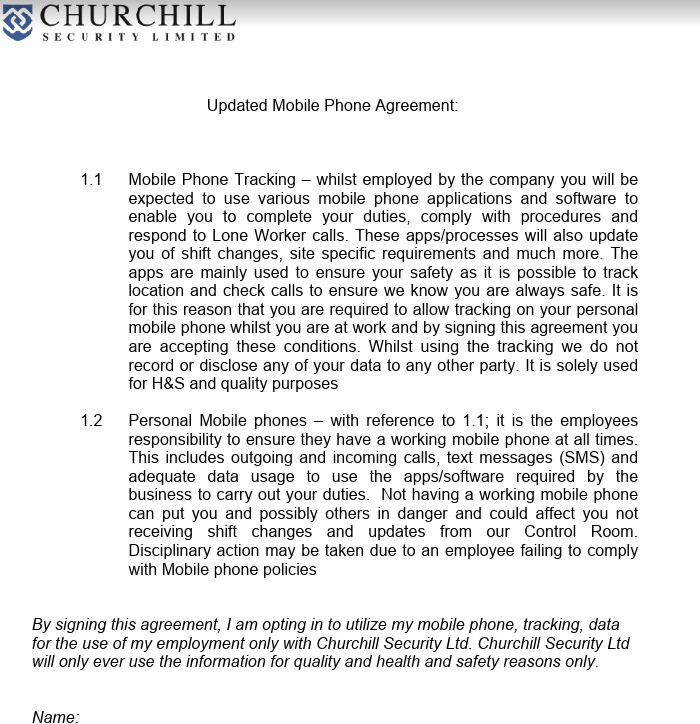 Churchill Security wrote to employees saying they are ‘expected’ to use an application which will ‘track locations’ and ‘update you of shift changes’. The letter – seen by Left Foot Forward – adds that ‘it is the employees responsibility to ensure they have a working mobile phone at all times…disciplinary action may be taken due to an employee failing to comply with mobile phone policies’. However, the firm have hit back at the criticism, saying no one will be forced to download the tracking software. The letter to Churchill employees. Churchill, based in Chorley, employs more than 200 people across the UK, including in Cardiff Bay, Cheltenham, Watford, Milton Keynes, Bromley, Abingdon and London. “This is appalling behaviour from a company trying to play big brother to hard working security guards. “Our members are performing a difficult, dangerous job with enormous responsibility. These are the people we rely on, the first on the scene after atrocities like Westminster Bridge or the Manchester Arena. “What they don’t need is employers making their job even harder, expecting them to download spy software onto their personal phones and tracking their every move. “Churchill Security does not require its employees to download software onto their personal mobile phones, as GMB have stated. 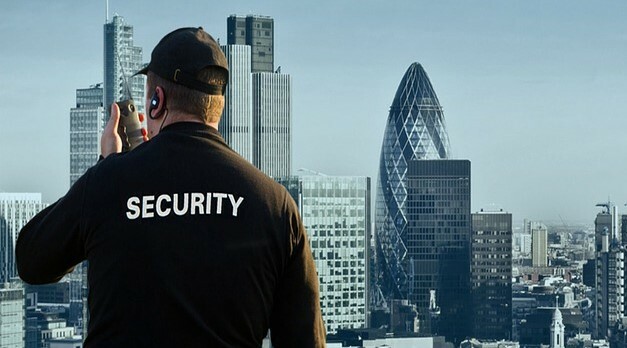 “Churchill Security uses various industry recognised apps to provide welfare checks, automatic patrolling and lone worker checks to ensure our staff are safe at all times. The statement published on the GMB website is incorrect as it clearly states on the agreement sent to our staff that they can “opt in” to using the apps on their own phones. Some employees have chosen not to join the scheme and do not use the apps with no issues from any of our management team. “The data collected and used from the app to servers is all encrypted and geo location only works when the app is in use whilst the employee is on site only (not when they are home, or driving etc). We take Data Protection very seriously and comply with our GDPR obligations. Just one small example of the potential for surveillance capitalism – introducing a form of totalitarianism that makes the old Russian KGB look like a gang of trainspotters.